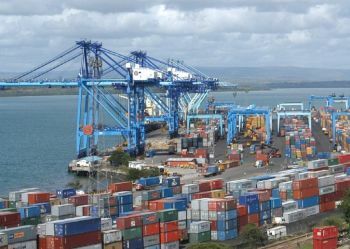 Ukraine to Invest in Kenya’s Ports ? According to the Ministry of Foreign Affairs, Counselor to the Prime Minister of Kenya’s infrastructure development Sylvester Kasuke ihas informed about that during a meeting with Ukrainian Ambassador to Kenya and Tanzania Vladimir Butyagov. In addition, the parties have discussed prospects of economic relations development, in particular the possibilities of attracting of Ukrainian companies to infrastructure projects in the Kenyan capital of Nairobi, Mombasa and reconstruction of the port of Lamu, modernization of the transport corridor in East Africa, in particular the railway from Mombasa – Nairobi – Uganda. S. Kasuke noted that the Republic of Kenya is open for Ukrainian goods, is interested in economic relations developing and export of a wide range of products and services.